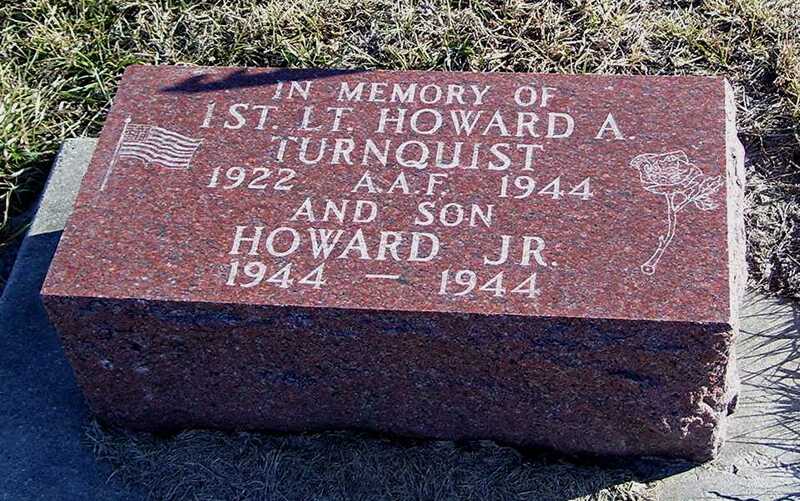 487th Bomb Group (H): Turnquist, H.A. 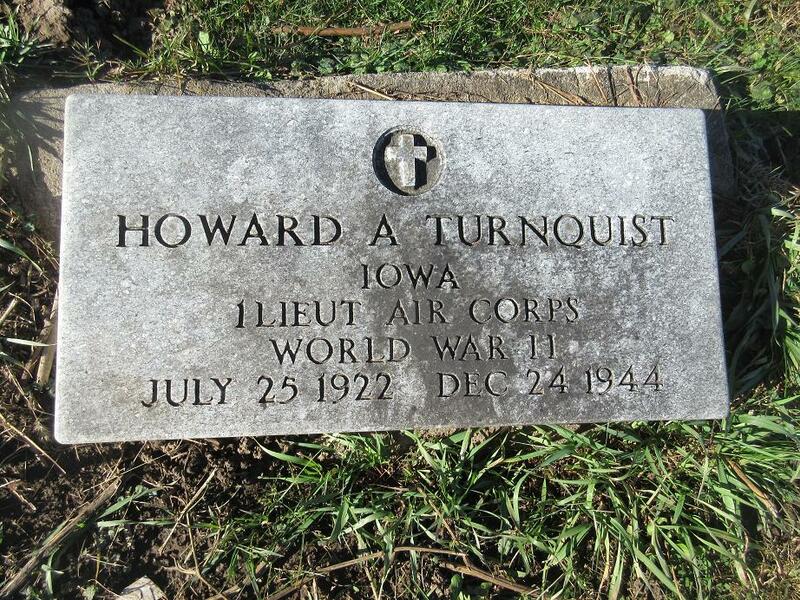 There are two markers for Lt. Turnquist. The first photo is in Monroe "Silent City" Cemetery, Monroe, Jasper County, IA. This is memorial to both Lt. Turnquist and his infant son. This second photo is the actual site of Lt. Turnquist's interment. It is at Swan Cemetery in Swan, Marion County, Iowa.